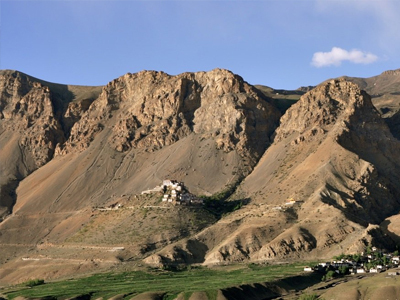 Kye Monastery is a famous Tibetan Monastery in Lahaul and Spiti district of Himachal Pradesh and is located at an altitude of 4, 166 meters above sea level. 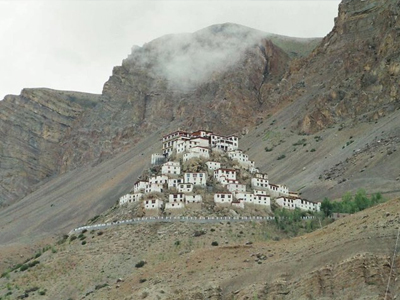 This beautiful monastery is positioned on a picturesque hilltop and is very close to the Spiti River, in the Spiti Valley of Himachal Pradesh. 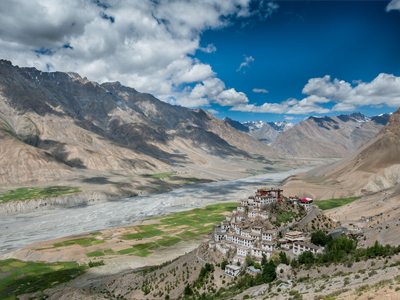 It's hard to believe, but this spectacular monastery is at least a thousand year old and is the largest monastery in Spiti Valley. It was established in the 11th century and it still houses ancient Buddhist scrolls and paintings. A large number of Buddhist monks, nuns, and lamas live in this religious training center to receive their religious education here. History The magnificent Kye Gompa is said to have been founded by Dromton (Brom-ston, 1008-1064 CE), a pupil of the famous teacher, Atisha, in the 11th century. The monastery was frequently attacked by the Mongols and looted by various armies, followed by a devastating fire that broke open in the 1840s. In 1975 a violent earthquake caused further damage to the building. 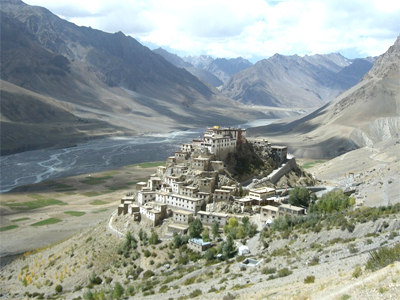 However, the repeated attacks did not steal the charm of this dazzling monastery and frequent renovation and reconstruction has helped it retain its beauty. Once this monastery was a wonderful example of the monastic architecture that came into prominence during the 14th century because of Chinese influence. The walls of the monastery are decorated with beautiful paintings and murals, thangkas (a painted or embroidered Tibetan banner), valuable manuscripts, stucco images, and unique wind instruments. There is also a collection of weapons used as a defense to fight against the attackers. Highlights Around the month of June and July, the Kye monastery celebrates a festival, in which the Chaam dancers are followed by a procession by lamas who reaches the ritual ground below the monastery to perform dance. A large butter sculpture of a demon is set on fire and the devotees lays themselves down on the route, so that the lamas can walk over them as a part of a ritual. 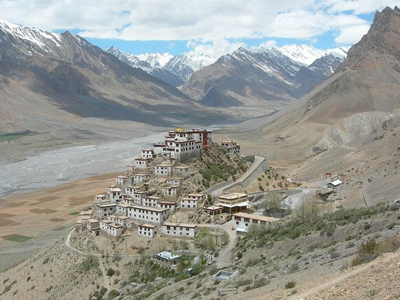 The Key Monastery is located merely 12 kms from Kaza and it has its headquarters in Kaza. One can visit this place directly from Manali by travelling a distance of 210 km from Manali to Kaza and from Kaza to Kye Monastery by taking a bus that runs daily.